Superman is dying, and so begins man's heroic age, as chronicled in Grant Morrison's All-Star Superman. A particular scientist, Leo Quintum, tries to take fire from the sun (veritably the Prometheus of the story taking flame from Olympus), setting in motion the fall of the old god, Superman, and the rise of the new. Morrison presents all of this within the tropes of Silver Age wackiness, and the collection that emerges is a feat of storytelling if not necessarily a model for Superman stories to come. For a book that serves as a love letter to the Superman mythos, All-Star Superman is largely a story about how mankind must inevitably outgrow Superman. At the outset of the book, Grant Morrison has Lois Lane and Lex Luthor each considering how they're growing older, while the always-youthful (and somewhat oblivious) Superman still plans corny gags for Lois's birthday. Humanity itself has caught up with Superman -- Professor Quintum's experiments are now so advanced that one of them results in Superman himself being mortally wounded. Morrison's funniest but most pointed example is when the Daily Planet's Steve Lombard is able to withstand a mutating Bizarro attack as well as Superman. The antidote? Lombard's, ahem, "performance enhancing" pills. Man, in this instance, has become superman indeed. Moreover, with a little push from Superman, humanity now has the ability to create their own Superman. Quintum surpasses Superman most directly in the end when he confirms he's now able to create his own human/Kryptonian hybrid, "Superman 2." In true Morrison-ian fashion, the writer presents an infinite loop. In the universe of All-Star Superman, Superman is dying at the same time humanity has realized their potential to make their own Superman -- to take on his role as protector for themselves. On the world of Earth Q that Superman creates ("our" Earth), Joe Shuster and Jerry Siegel imagine the comic book Golden Age Superman; even on a world with no Superman, humanity still "creates" Superman. Humanity's ability to create Superman, therefore, is meant here both literally and philosophically. Morrison and artist Frank Quitely also depict the Earth Q Nietzche, declaring "God is dead." The Superman, an ever-present benevolent force, or "god," dies, and humanity succeeds him and embraces peaceful living for themselves. Even on Earth Q, without a "real" Superman, Morrison posits optimistically that the direction for mankind is always to realize its potential by achieving Superman's ideals. Morrison's tale is one of humanity, and the Superman mythos, at its best. Quintum's PROJECT seems modeled after Jack Kirby's Project Cadmus, but there's no "mad" to this scientist; he is above board to an almost unbelievable degree. Morrison's Jimmy Olsen gets a little picked on by Lucy Lane, but he's generally the coolest cat in the room; Morrison's Perry White is all professionalism, never haranguing his staff or shouting at Olsen for coffee. Even Morrison's Clark Kent is the ultimate Clark, never depicted more convincingly as not Superman than here under Quitely's pen. There's also nary an enemy that Superman defeats in the book, even Lex Luthor, who doesn't in some way come around to the side of good in their defeat. It is the best of us -- and certainly, an optimistic comic in a grim and gritty world is not to be ignored -- but it all rings just slightly false. Morrison spins All-Star Superman with a healthy dose of Silver Age irreverence, and like the Silver Age, it breaks down under modern scrutiny. Superman seems not at all alarmed that the PROJECT has long planned to clone him; indeed he seems to agree. He discusses on a number of occasions how he can't die and leave Earth unprotected -- despite the presence of other heroes, Superman seems an overwhelming force in this universe, to an extent modern sensibilities might find extreme. This culminates in Superman's otherwise-insane plan -- but here, presented as perfectly rational -- that Superman takes Lois's DNA without her knowledge for the purpose of letting Quintum create a super-baby. Superman in Morrison's story is the quintessential hero, but also the epitome of alpha-male; he professes his love for Lois but can't understand (in the book's only narration boxes that aren't Superman's) why Lois finds the dishonesty that underlies their relationship so disturbing. Superman later puts off a relationship with Lois because they can never have children, embracing the Silver Age-y thinking that this might be the only reason to marry, and breaking distinctly from the modern-age Superman and Lois who chose to marry despite incompatible biologies. This is far from irreverence or misogyny on Morrison's part; rather he seems to revel in the absurdity and inconsistencies of the Silver Age tropes, as he did in Batman RIP. (At the height of the book's insanity, as Superman struggles to leave Bizarro World, the anti-Bizarro Zibarro softly, meekly, asks if Superman will read his crazed writing -- Morrison is so in on the joke he's even lampooning himself.) All-Star's storytelling itself is "off," adding to the modern reader's sense of partial disengagement -- as when Lois is held by the Ultrasphinx in the third chapter, her eyes are closed one panel, open the next, with no "flutter," or in the conclusion when Lex's niece Nasthalthia is about to blow up a taxi in one panel, and has already blown it up in the next. Time is skewed in All-Star, presenting just the before and after, not the during. It emphasizes All-Star's aesthetic that in the Silver Age, the details just don't matter. This is not to suggest that the chapters of All-Star Superman are offered lightly. Each one includes a wealth of detail, not just shout-outs to the Superman mythos old and new, but also how each story uses the world built in the issue before (see the constantly recurring Fortress key). All-Star must have been a wonder to read in monthly form, with Superman's death unfolding over "real time" in a year. Highlights include chapter ten, which Chip Kidd calls, in his introduction to the Absolute edition, worth a "doctoral Lit thesis on narrative construction and causal connectivity in fiction," and also chapter nine, "Curse of the Replacement Supermen," which presents succinctly in one issue the kind of story that "nowadays" would take six or seven issues to tell. 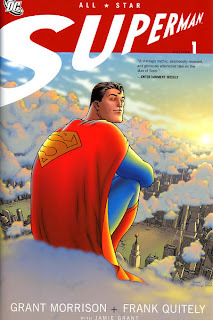 All-Star Superman therefore emerges as a tribute to Superman's Silver Age adventures and to the Superman ideal -- to humanity's struggle to do good and to create legends that influence us to do so. It is not, however, a "workable" Superman, the kind of Superman like John Byrne's or Geoff Johns's that could host his own series -- Morrison's All-Star-universe Superman is a hero but not necessarily a leading man. This makes Morrison's work on the DC New 52 Action Comics all the more interesting -- if All-Star is Morrison's loftiest image of Superman, how will that differ from his Superman who needs to function in a series month in and month out? Coming up this week, then, the Collected Editions review of Grant Morrison's DC New 52 Action Comics debut, Superman: Action Comics - Superman and the Men of Steel. See you then! The deluxe All-Star Superman was one of my few DC purchases this year, and it was totally worth it. 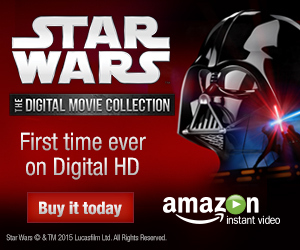 I can only imagine how much better the Absolute version is. It's also one of the rare occasions in which I can stand Frank Quitely's art--the story makes me look past the faces. As for the theory you linked to... when I first heard about that, I re-read the book with it in mind, and it does make a lot of sense. Have you considered going back and re-reading JLA One Million, considering that this kinda-sorta-maybe ties into it? Wow, I've read this book and several reviews at different times and it still amazes me that there's something new to learn or discover each time. Your take that All Star Superman is really a story of humanity's triumph was something I sensed, but wasn't able to think of as an overarching theme. The primary scene that makes me think of it was Superman saving the girl from jumping in suicide (which was a scene that sadly didn't make it to the animated series). Truly a worthy addition in any collection. I've read this book a few times before (I own the 2011 12-issue softcover), and I knew most of the symbolism you mentioned as well as many others have...I never caught the Lex/Leo references until now. Wow. Morrison has that ability where you re-read it over and over again, and you learn something new every time. That to me, is the highlight of Morrison. You practically get smarter every time you read a Morrison book. I like the Silver-Age knowledge of explaining Morrison's general writing style. Not the Silver-Age references because their are a ton of it here and most of Morrison's books. You summed up exactly how and why Morrison writes the way he does. It's that reason people either love and understand his writing, and those who hate or don't understand it. It goes both ways. But overall, All-Star Superman is worth checking out for Superman fans. I do think it's highly overrated though (I think Kurt Busiek's Superman: Secret Identity is equal to or greater then All-Star Superman). Not that there hasn't been enough reviews of All-Star Superman, but this review was well done. There's an interview with Morrison somewhere in which he's asked about the Lex/Leo thing and he says he never intended that to be the case but he enjoys the theory. great review! liked the lex-leo link,too. a question : seeing as I have the hardcovers, what makes this a worthwhile upgrade? scale, or more? @Anonymous: other than the oversized format and new cover art, the Absolute edition features some new extras not available in the original hardcovers like character profiles, sketches, script excerpts and a breakdown of the 12 labors of Superman. However, Mark Waid's great introduction to the second HC is missing. I loved All-Star Superman since I first read it and the theory you linked to at the end blew my mind. I totally buy that interpretation of the series and it adds even more to the respect I have for Morrison on this project. Thanks as always for another stellar review, CEB! It inspired me to go back and reread the book - I ended up reading it all in one sitting because this book means so many things to me. It's a statement on why I read comics, it's an answer to the question of why we still have superheroes, but it's also a genuinely affecting story. The Regan moment MarkPoa mentioned never fails to bring me to tears when I get to it because it's such a perfect moment on so many levels. Lots of us have already noted how dense this book is, and I always catch new things. I was paying attention to Jimmy and Lex/Leo this time, and I realized that Grant does two things especially well - elaborately crafted multilayered narratives and throwaway lines that might otherwise have been a summer "event" series (i.e., the Chronovore, the underground dinosaurs). Oh my land, I love this book. I entirely mean to re-read JLA One Million one of these days. I don't think I gave it enough credit when I first read it, lo fourteen years ago when it first came out -- having studied much more closely now books like Final Crisis and Time and the Batman, I'm curious what I'll find when I go back to One Million. Plus the All-Star Superman tie, of course. I've lately been very impressed with Morrison's "multi-layered narratives" -- not in the least, as I mentioned, the recurring Fortress key in All-Star, but also in Action Comics, when Lex shows Superman what he thinks his "real form" looks like, and we don't know why Clark is laughing until a back-up story later on ... all great stuff. Oh God, that theory! I want to say Morrison is pulling our leg if he says it wasn't the intention -- it makes the whole thing so, so much more interesting and it makes a mindblowing amount of sense, especially for this Superman. I'm going to miss Morrison's time-travel hijinks when he's done with them.